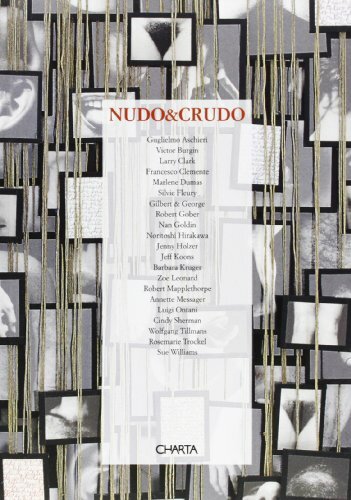 An aptly titled book, Nudo & Crudo contains a fine selection of shameless, beautiful, and repulsive images centered around the human body and exploring the separation of body from spirit. It includes work by Larry Clark, Gilbert & George, Nan Goldin, Noritoshi Hirakawa, Jenny Holzer, Jeff Koons, Barbara Kruger, Robert Mapplethorpe, Cindy Sherman, abd Wolfgang Tillmans. Nudo & Crudo is a catalogue to the exhibition, of the same name, organized by the Claudia Gian Ferrari Arte Contemporanea Gallery in Milan.